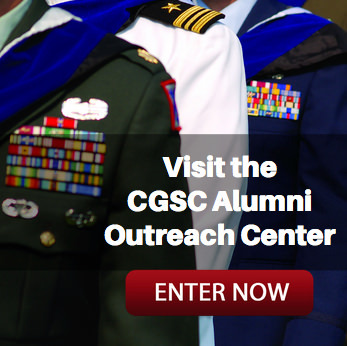 Deputy Commandant promoted, reassigned | Command and General Staff College Foundation, Inc. The Command and General Staff College conducted a Promotion and Relinquishment of Responsibility Ceremony for Major General Christopher P. Hughes, deputy commandant, U.S. Army Command and General Staff College; and deputy commanding general, leader development and education. 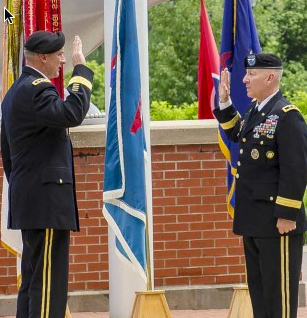 Maj. Gen. Hughes was promoted on June 5, 2015 at the Lewis and Clark Center, Fort Leavenworth, Kansas. After taking the oath of office from Lt. Gen. Robert B. Brown, commanding general of the U.S. Army Combined Arms Center and Fort Leavenworth, Maj. Gen. Hughes was given his relinquishment orders. Maj. Gen. Hughes’ new assignment will be chief of staff, U.S. Army Pacific, Fort Shafter, Hawaii. Hughes has been the deputy commandant of the College since Oct. 7, 2013. 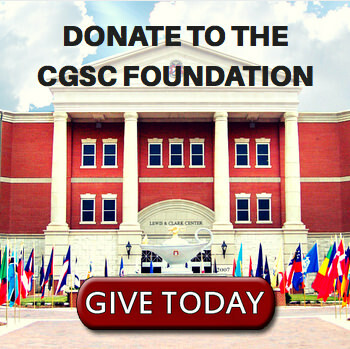 The CGSC Foundation wishes Maj. Gen. Chris and Marguerite Hughes well in their next assignment. The incoming deputy commandant is Brig. Gen. John S. Kem, who is currently commander of the U.S. Corp of Engineers Northwestern Division, Portland, Oregon. He is expected to assume duties in August just prior to the start of the CGSC Class of 2016. For more photos from the ceremony visit the CGSC Flickr album.